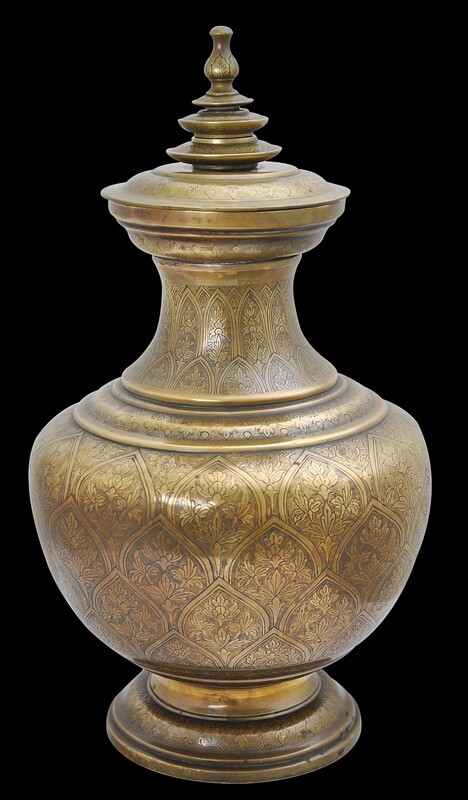 This large and sculptural example of Malay brassware is one of the finest examples we have seen. 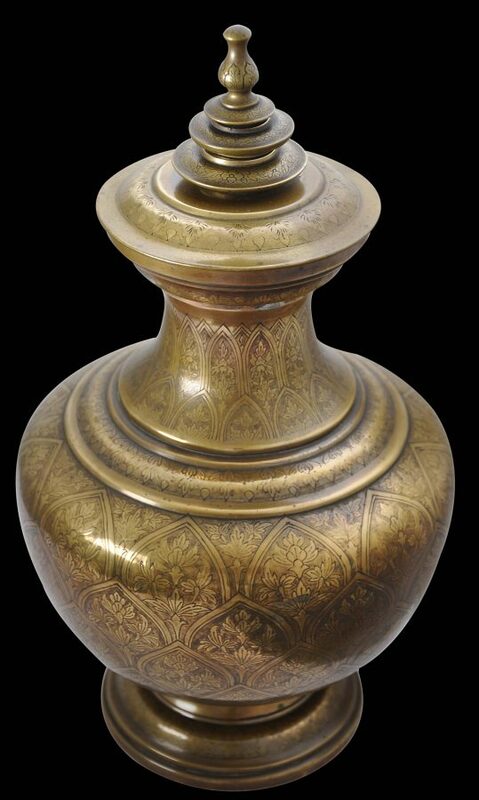 It has been cast in the style of a Thai lustral water vase, which typically are made or chased silver. 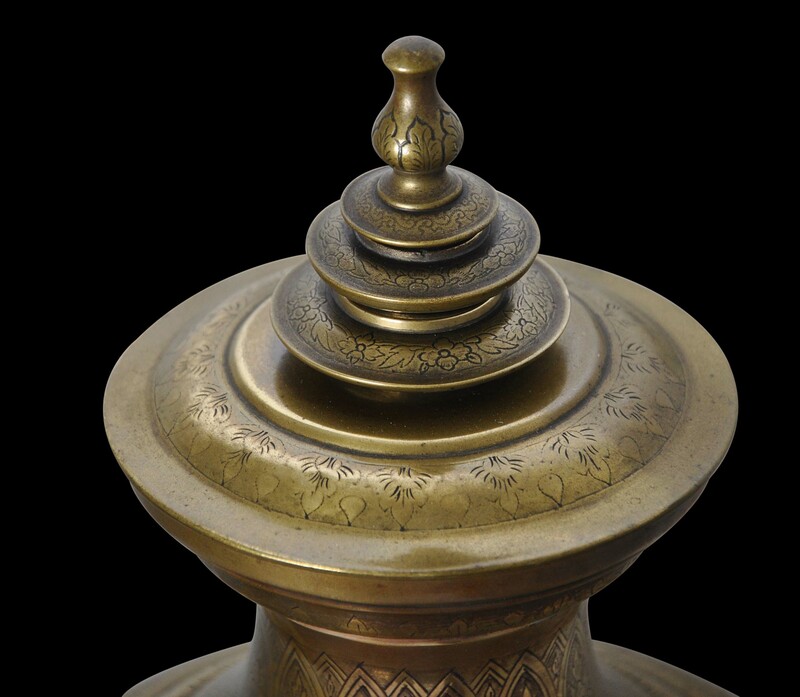 The lid, body and neck are all engraved with floral motifs arranged in a Thai trellised-petal design but the motifs themselves are more in keeping with the Malay aesthetic. As such, it seems likely that this vessel was produced in southern Thailand such as the Pattani region or in the northern Malay states of Terengganu or Kelantan, where Thai and Malay motifs and aesthetics tend to be blended. The lid has a graduated, tiered final that terminates with a solid-cast lotus bud tip. The vessel is in excellent condition and is free of dents or repairs. The surface has a lovely, buttery patina.